Eight years of honing his production skills certainly proves true the mantra that practice really does make perfect, at least that was the case with the uber-talented Manse. Still only in his early 20’s, the Swedish DJ is a prime talent that has swiftly risen through the ranks to become a label favourite for both Revealed and Armada. With invaluable support already gathered from Hardwell, Armin Van Buuren, Martin Garrix, Nicky Romero and more, Manse has emerged as a rising talent with a penchant for exquisitely produced and infinitely danceable progressive house. 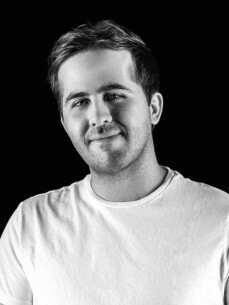 After a series of excellent releases on labels such as Revealed and Armada Trice, including two tracks gracing the Beatport progressive house top ten, Manse established himself as a producer to watch in 2016, playing outstanding sets at Tomorrowland and Sunburn, on top of taking over Revealed parties at Ushuaïa during the summer months as well as a planned trip over to UK for the massive Creamfields Festival.